I love how this one's feathers are highlighted by the sunlight. Benson's Rock Thrushes are found in Madagascar. They measure around 16 cm in length and weigh between 24 - 28.5 grams. 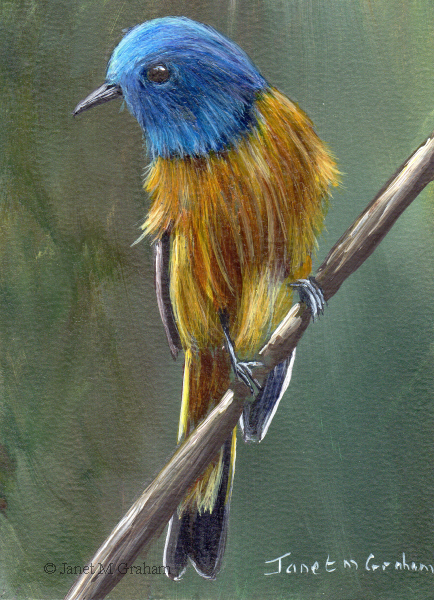 I like how this one is perched on the branch. White Collared Blackbirds (also known as White Collared Thrush) are found Indian Subcontinent. They measure around 26 - 28 cm in length and weigh between 96 - 105 grams. 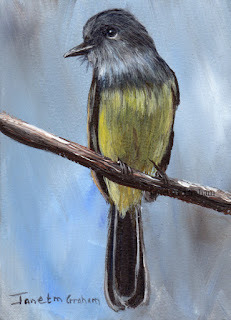 I loved painting this one as everything just seemed to work and I was able to get the depth to the feathers that I wanted. 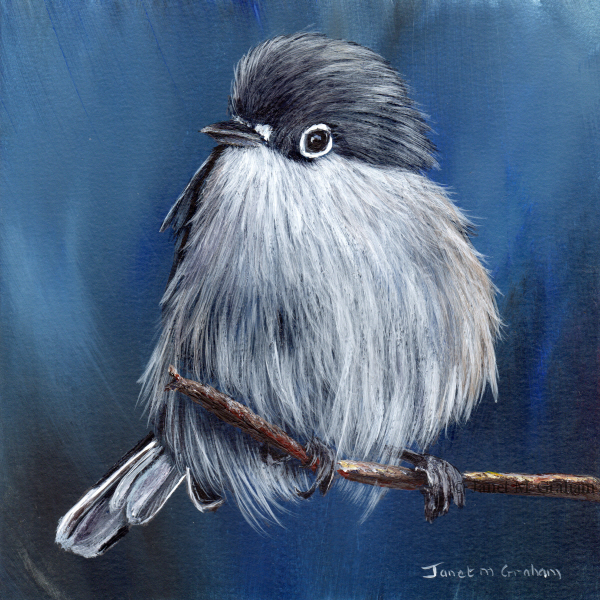 Black Capped Gnatcatcher measures 5 x 5 inches and is painted on Colourfix Smooth Paper. 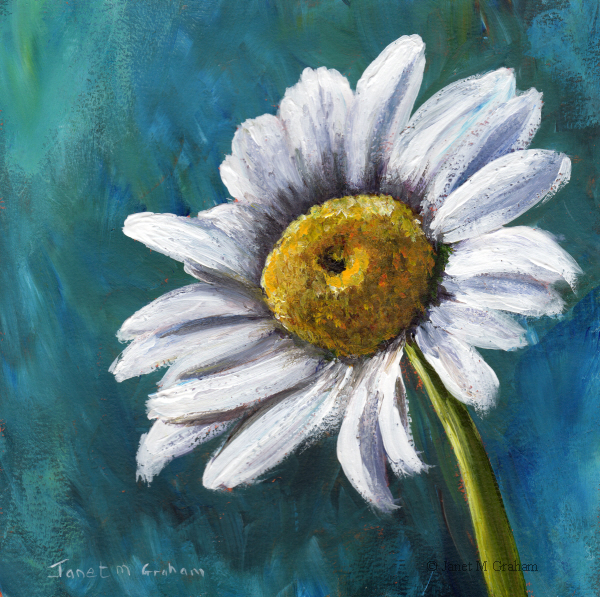 I felt like painting something completed different so decided to paint this daisy. Rather pleased with how it turned out. Daisy measures 6 x 6 inches and is painted on Colourfix Smooth Paper. I decided to paint a landscape for a change. Really pleased with how it turned out. 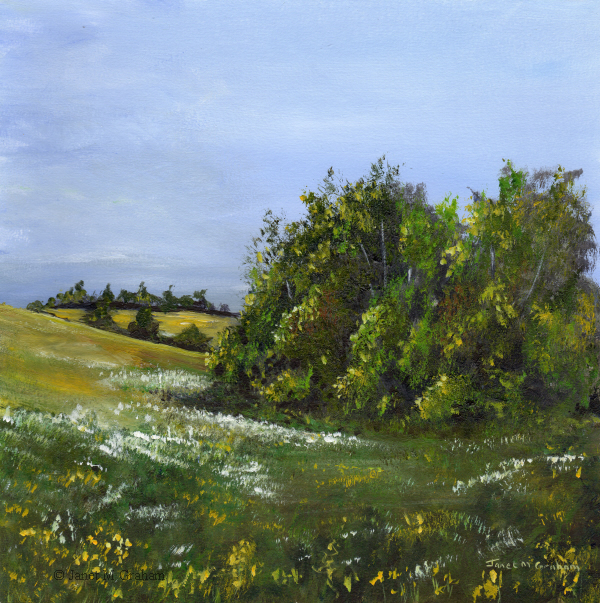 Spring Meadow measures 8 x 8 inches and is painted on Colourfix Smooth paper. 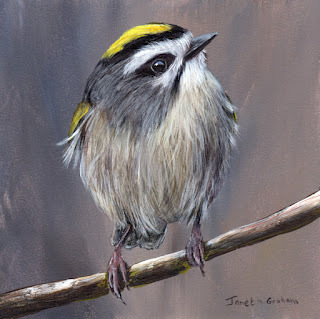 Many thanks to Jan Flynn for the reference photo. This ones was rather fun to paint - everything just seemed to work. 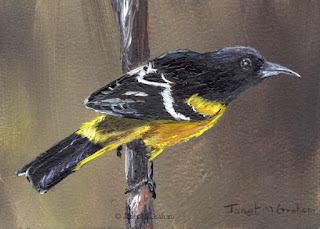 Scott's Orioles are found mainly in South Western United States and Central Mexica. They measure around 23 cm in length and weigh between 32 - 41 grams. 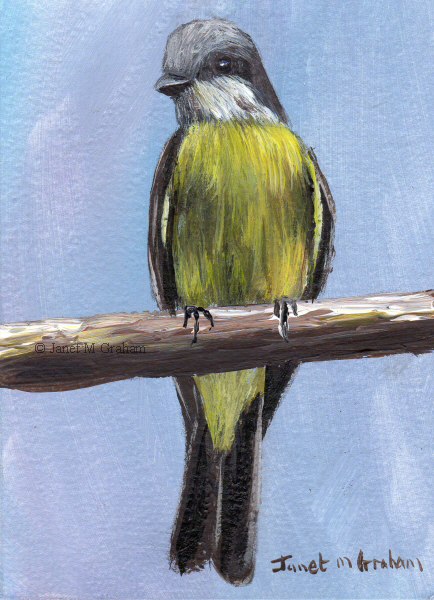 Tropical Kingbird measures 2.5 x 3.5 inches and is painted on Colourfix Smooth paper. 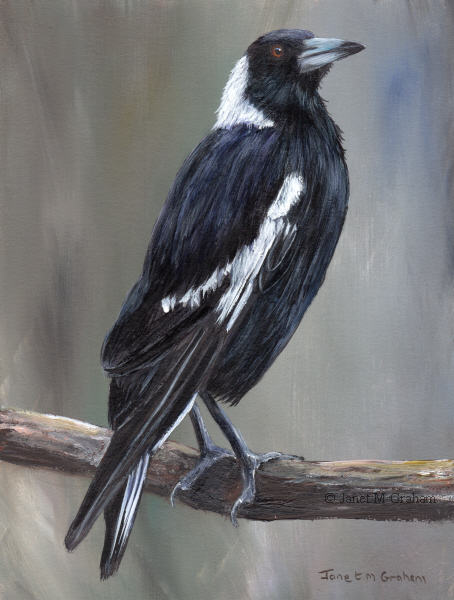 I always see the Magpies when I am out and about and have wanted to paint one for ages. So when this one visited the bird bath and stayed around for a while I was able to take quite a few good reference photos. And for something different, I decided to paint a flower. Quite a few layers/glazes went into this one to get the depth to the petals. 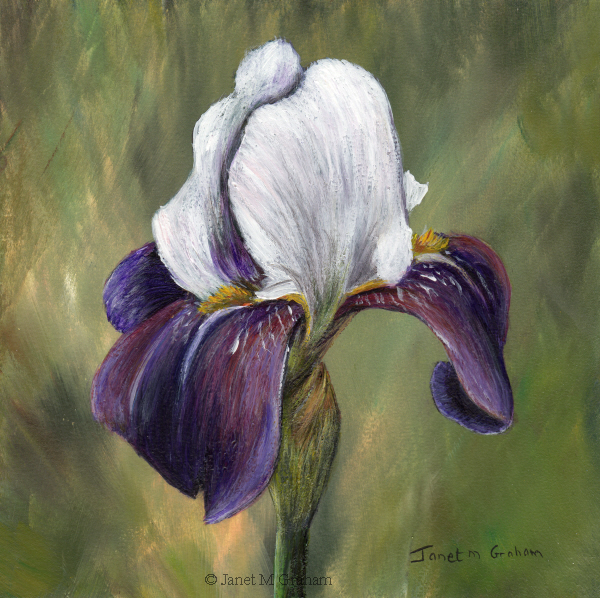 Iris No 3 measures 6 x 6 inches and is painted on Colourfix Smooth paper. This is one of my favourite little birds to paint. I took the reference photo for this one in Tasmania last year. 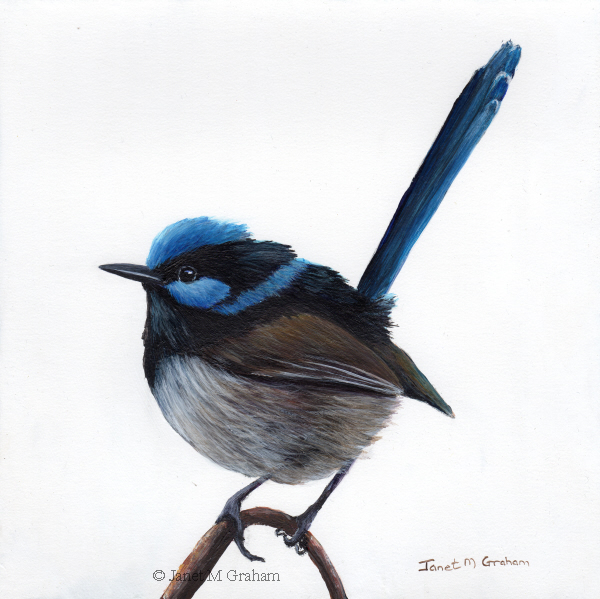 Superb Fairy Wren No 10 measures 8 x 8 inches and is painted on Colourfix Smooth paper. I love the angle of this ones head and the vibrant red feathers. Golden Crowned Kinglet No 3 measures 5 x 5 inches and is painted on Colourfix Smooth paper. 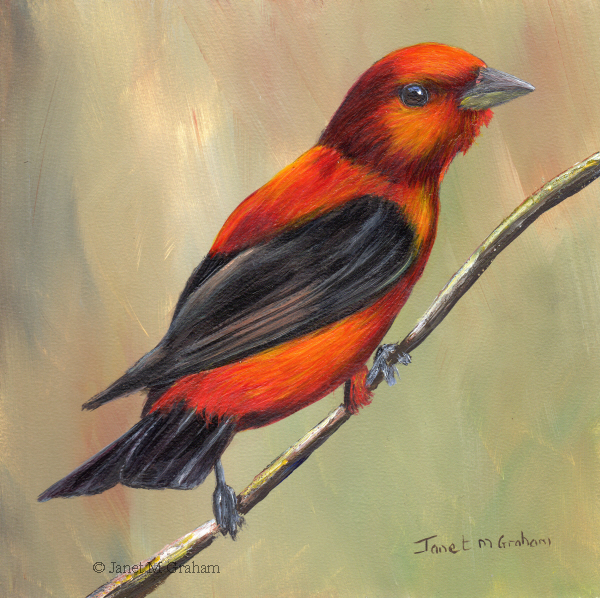 Unlike the Panama Flycatcher, this one just seemed to paint itself as everything just worked. 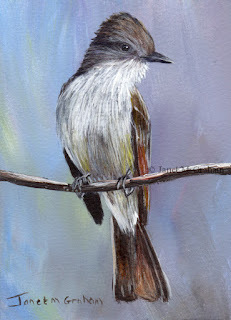 Ash Throated Flycatchers are found from Western United Stated to Central Mexico. They measure between 19 - 21 cm in length and weigh 21 - 38 grams. Ash Throated Flycatcher measures 2.5 x 3.5 inches and is painted on Colourfix Smooth paper. This one was a bit more tricky to paint than I thought it would be. I had to do quite a few glazes to get the depth to the head feathers. Really pleased with how it turned out in the end. Panama Flycatchers are found in Colombia, Panama, Costa Rica and Venezuela. They measure around 19 cm in length and weigh between 28 - 35 grams. Panama Flycatcher measures 2.5 x 3.5 inches and is painted on Colourfix Smooth paper. 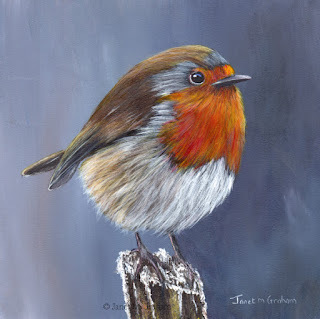 I love painting robins so couldn't resist painting this one. Robin No 13 measures 6 x 6 inches and is painted on Colourfix Smooth paper.. Many thanks to Lisa Cunnington for the reference photo. 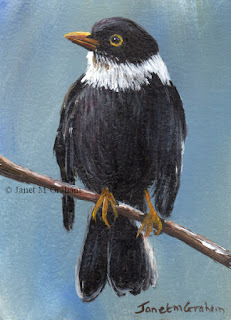 I love this birds feather colours. 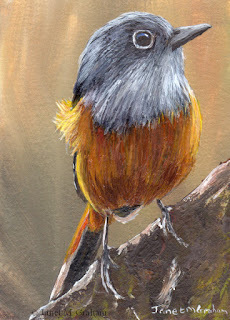 Blue Fronted Redstarts are found in China, Himalayas, Yunnan, Northeast India and Southeast Asia. They measure around 15 - 16 cm in length and weigh between 12 - 19 grams. Blue Fronted Redstart measures 2.5 x 3.5 inches and is painted on Colourfix Smooth paper. White Tailed Nuthatches are found in India, Laos, Nepal, Myanmar, Bhutan, Tibet and Thailand, They measure around 12 cm in length. 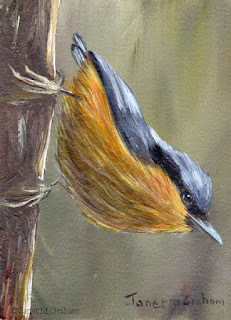 White Tailed Nuthatch measures 2.5 x 3.5 inches and is painted on Colourfix Smooth paper. Many thanks for Francesco Veronesi for the reference photo. 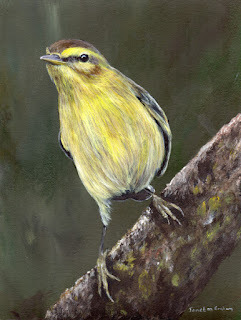 Willow Warbler No 2 measures 6 x 8 inches and is painted on Colourfix Smooth paper.